Hijab wearing dance group brings people together through hip hop. ‘We’re Muslim, Don’t Panic’ is an award-winning dance group stamping out Islamophobia with their sneakers. Wearing traditional islamic garments in performance to combat Muslim-American stereotypes, the ensemble wears hijabs, niqabs and abayas in every performance. Together they are challenging the stereotype that Muslim women are necessarily oppressed, voiceless by traditional clothing. They express themselves through interpretive dance whilst wearing religious garments. 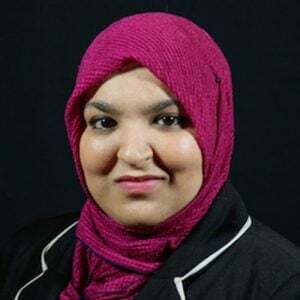 Founder, Amirah Sackett founded WMDP in 2011 to not only combat Islamic stereotypes but also to inspire Muslim girls to pursue what they love. She said “I wanted to open people’s eyes to the different image of Muslim women. And I also wanted them to see the scariest image we have out there in the full covering. The group collaborate with hip-hop artist Brother Ali for hi music video “Mourning in America” in 2012 which not only has over a million views on youtube but also sparked a political debate in the comments section. Amirah hopes her group can spark more conversation and more understanding. Buzzfeed’s Video on Ramadan is making the rounds again as Ramadan approaches. and they have given us 11 awkward moments that happen during Ramadan. Speed Eating Before Dawn – that awkward moment when you wake up a few minutes before dawn and speed eat all the food you need to sustain you during the day. Mornings without Coffee – Get ready for those mornings of seeing and smelling coffee all around you. Life can be your pick me up! Lots of Questions: Get prepared for the awkward questions – So you don’t eat anything for 30 days? So, not even water? So Ramadan’s like Christmas, right? Being Excited To Get Your Period – And awkwardly having to explain why you’re eating during Ramadan. Its definitely not as awkward as explaining to people who aren’t Muslim, as it is to face the Muslims at times. Forgetting Your Fasting – That awkward moment when you have to spit out what you’re eating and washing your mouth out because you forgot you’re fasting. Zoning Out – Feeling exhausted and zoning out at work. Praying at Work – Finding that perfect quiet spot to Pray. Food Coma – Eating all the things you craved during the day.